"The OECD presents Israel as a bi-polar society: an economy of flourishing high tech and finance, versus an economy of low productivity in the rest of industry; an economy of Tel Aviv versus an economy of the periphery; an economy of the secular and modern orthodox versus an economy of ultra-Orthodox Jews and Arabs; a positive and hopeful short term versus a long term that arouses pessimism and concern. But there are also unifying factors: we all suffer from high housing costs and intolerable road congestion. That's a comfort of sorts." A slow news day for the Hebrew newspapers with all of them focusing on one story: the crisis over the draft law. Israeli Prime Minister Binyamin Netanyahu reached a deal with his ultra-Orthodox coalition partner over the Draft Law, but elections still remained up in the air. Also high in the news was State Prosecutor Shai Nitzan’s response to Netanyahu who blatantly accused police of pressuring people to become state witnesses (there are three now testifying against Netanyahu) in order to tell lies about him. “We'll never recruit state witnesses and tell them to lie. Claiming otherwise is preposterous,” Nitzan said. What failed to make big headlines was the 2018 OECD report, which while praising Israel’s strong economy, warned (again) of Israel’s failure to integrate unskilled ultra-Orthodox and Arabs into the workforce through quality education and training. Israel Hayom’s article almost didn’t mention the problems. 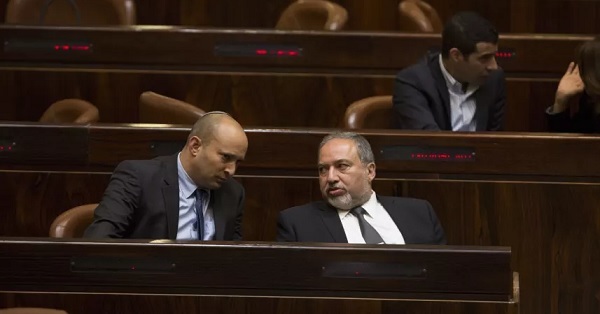 Following an agreement between Netanyahu and the ultra-Orthodox United Torah Judaism party over the Draft Law, the question remained whether another coalition partner, Defense Minister Avigdor Lieberman, would accept it. And still, questions remained whether Netanyahu and Lieberman were in cahoots to bring about a snap election, as per Netanyahu’s needs vis-a-vis the investigations into his alleged corruption. Yedioth’s Nahum Barnea wrote that “if he will think that a more central government would improve his situation in regards to the prosecutors, the media, the judicial system, he won’t hesitate to betray (the ultra-Orthodox),” who won’t benefit from early elections. Meanwhile, Habayit Hayehudi leader, Education Minister Naftali Bennett warned that if elections were called due to a failure to resolve the 'fake and unnecessary crisis,’ he won’t be satisfied by demanding only the defense ministry portfolio, he might run against Netanyahu. Maariv reported that if snap elections are held, they’ll be either on the 19th or 26th of June. Replace Netanyahu or Hold Elections (Haaretz Editorial) The coalition cannot continue to exist under the cloud of suspicion that hangs over Netanyahu. *OECD exposes a bipolar Israel (Amiram Barkat, Globes English) Israel's good economic performance hides extreme and worrying gaps that are liable to worsen. How They Made Abbas the Enemy of Peace (Odeh Bisharat, Haaretz+) Don't listen to Netanyahu's people. Unlike most Israeli leaders, who sentence future generations on both sides to the mire of the occupation, Abbas is still pushing for an agreed solution. Lieberman's principle: What began as arm twisting has become a matter of values (Yossi Melman, Maariv) The defense minister estimates that if his party becomes stronger in the next elections, it will be difficult to establish a government without him, and he can demand the position he fell in love with, whether from Lapid or from Netanyahu. Netanyahu Among the Lilliputians (Moshe Arens, Haaretz+) Anything goes when it comes to flinging insults at Netanyahu or anyone who expresses admiration for him or Israel. Maybe it’s the result of a feeling of intellectual inferiority. Holding on to the inheritance: The bloody war between the two challengers (Ben Caspit, Maariv) Along with Netanyahu's battle for survival, another struggle is being waged between Lieberman and Bennett, who see themselves as his successors. But while the former is coordinated with the prime minister's moves, the chairman of Habayit Hayehudi is threatening to embark on his own path. There is nothing about the recent crisis except a cold calculation, the one who is the beneficiary of it is Netanyahu (Dr. Revital Amiran, Maariv) The prime minister set unreasonable conditions for his partners, with the aim of saving his political skin and perhaps his liberty. But if Kahlon or Bennett would speak, they might avoid being humiliated. Netanyahu's Politics of Avoiding Indictment (Tzvia Greenfield, Haaretz) His possible motive for early elections seems far-fetched but is not to be ruled out: demands being made by U.S. President Donald Trump. 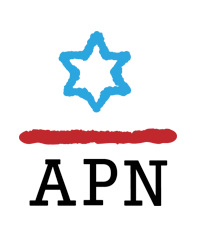 AIPAC isn’t Likud (Ben-Dror Yemini, Yedioth/Ynet) There is no greater lie than the accusations that America’s pro-Israel lobby is a right-wing organization which is drifting away from the US Jewry. AIPAC isn’t taking sides, but its critics—most of whom belong to the radical left—are having trouble hearing Democrats and Republicans talk in favor of the alliance with Israel. Louis Farrakhan and David Duke are some of America's most notorious hatemongers. Sheldon Adelson is not (Jonathan S. Tobin, Haaretz+) Not everyone we Jews don’t like is Hitler. Not everyone who opposes Israel’s government is an anti-Semite. Not every figure on the Jewish right is a Farrakhan. Is Vladimir Putin an anti-Semite or philo-Semite? Depends on His Agenda (Anshel Pfeffer, Haaretz+) Experts are divided on whether the Russian president was really blaming the Jews for hacking the U.S. elections in his latest interview with Megyn Kelly. What’s clear, though, is that he has some allies with decidedly anti-Semitic views. The Tide Has Turned, but Netanyahu's Coalition Partners Are Convinced He's Still Set on Elections (Yossi Verter, Haaretz+) Advancing early elections doesn’t serve only Netanyahu, the serial suspect – it's also in the Likud’s interests.